People are eating a lot of fish. More than ever before. Without some clever innovation, we may very well eat all the fish in the sea. That’s hardly an exaggeration, either. 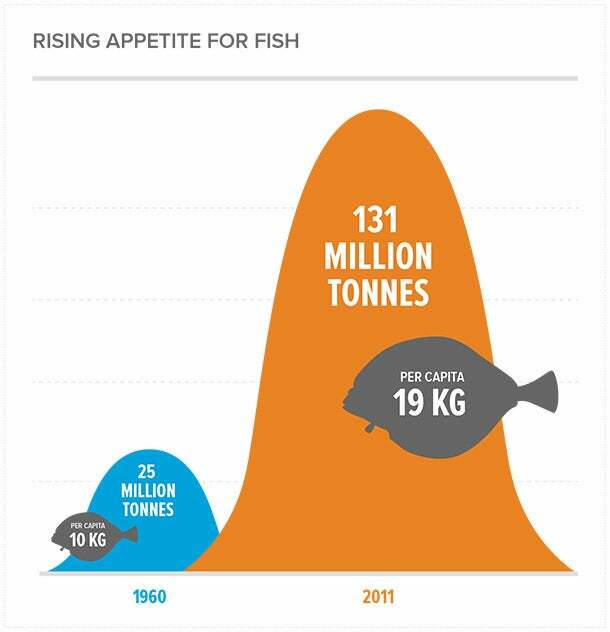 Where each person ate an average of 10 kilograms, or 22 pounds, of fish in 1960, the average person ate 19 kilograms, or almost 42 pounds, of fish in 2011, according to a report from the Food and Agriculture Organization of the United Nations. 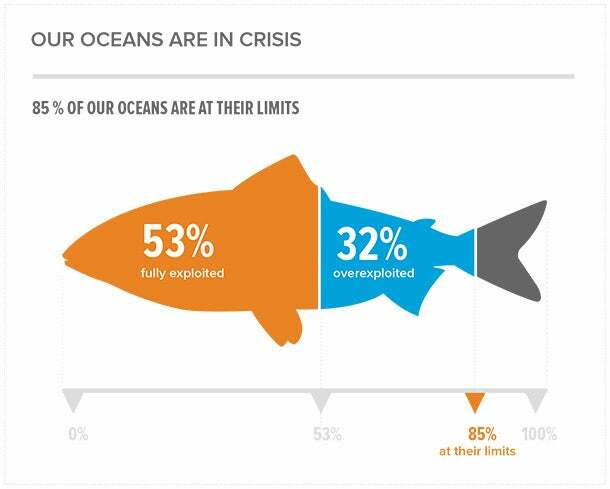 The report claims that about 85 percent of the world's oceans are at their fishing limits. Which means that, if current rates continue, the oceans will be near barren in 35 years. Aquaculture, or the breeding and harvesting of aquatic animals and plants, has become a growing practice and is seen as a solution to the fish consumption crisis. In 1951, aquaculture netted 640,000 kilograms, or 1.4 million pounds, of fish around the world. 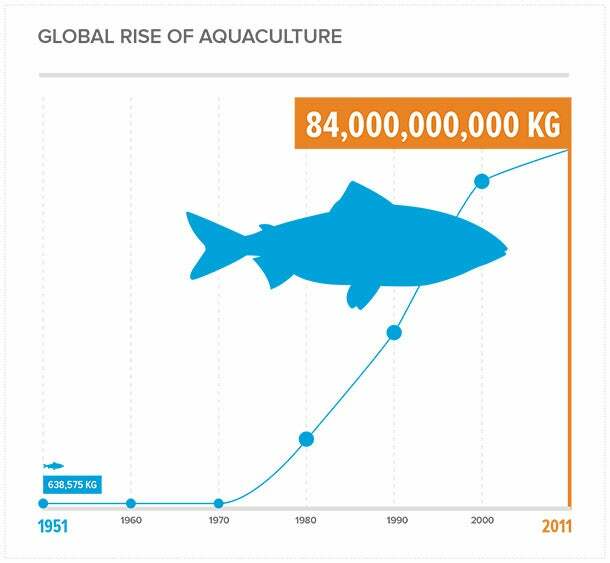 By 2011, aquaculture was bringing in 84 billion kilograms, or 185 billion pounds, of fish. Hoping to foster innovation in this space, two entrepreneurs, Amy Novogratz and Mike Velings, have launched an investment fund called Aqua-Spark. The fund seeks out sustainable fish-farming techniques and innovations and invests in them. 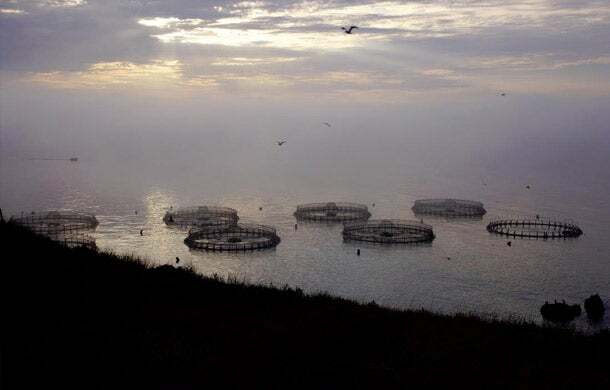 In particular, the Netherlands-based investment fund will seek out best-in-class hatcheries to invest in, or new technologies to battle disease epidemics that fish battle in the fish farms. Prior to founding Aqua-Spark last year, Novogratz was the director of the TED Prize, an award given to an individual who demonstrates extraordinary global vision. Velings, meanwhile, is a serial entrepreneur and investor. He started Connexie, a payroll service in the Netherlands, and A-Spark Good Ventures, a company that invests in entrepreneurs around the world. Novogratz and Velings met on a boat trip in the Galapagos inspired by TED Prize winner Sylvia Earle, a life-long oceanographer and explorer. Earle won the TED prize in 2009 and then took 100 people on the Galapagos voyage in 2010. There, Novogratz and Velings determined that they would make preservation of the oceans their passion. They also fell in love and ended up getting married. Unlike a venture capital company, Aqua-Spark does not expect to cash out of the investment. So, while a VC will invest in a startup and then look for a return on that investment either by the entrepreneur selling the company or going public, Aqua-Spark does not look for entrepreneurs to cash out quickly. That’s because aquaculture is a long-term cash-intensive business. Building fish farms is expensive. And the infrastructure required to build recirculating aquaculture systems, which are completely closed systems and entirely self-sustaining, is particularly expensive. Initial investments in aquaculture businesses will run from 250,000 euros to 5 million euros (about $340,000 to $7 million), depending on the idea. Rather than looking for a quick cash-out, Aqua-Spark will make money through dividend returns. And because of the steady nature of the industry, the company expects to make revenues from dividends of 12 percent per year after the first five to seven years. Returns of 12 percent or higher are pretty impressive, and that’s exactly part of Aqua-Spark’s pitch to investors.